Many of these problems can be repaired, however, depending on how much damage there is, it can be costly. In the Jacksonville, NC market we are able to ask the seller in a Repair Request to fix items that are important to the home buyer. The seller has the right to NOT fix anything, and run the risk of loosing their potential buyer. In our contracts, we have a due diligence period that gives the home buyer a time period to get all of their needed inspections done on the property and to ask for any repairs that they would like to get done. If the seller will not fix items that the buyer MUST have done, the buyer is then able to get released from the contract and walk away with their Earnest Money Deposit. This can only happen if everything is done within that "Due Diligence Period." If the home buyer does not accomplish everything during this period, then they must remain in their contract regardless of the findings. The due diligence clause is there to protect home buyers. 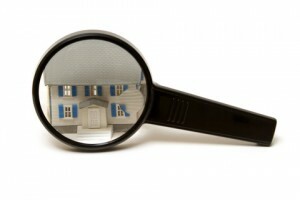 The Realtor's job is make sure all inspections get done within the time frame to assure there buyer is protected. You need to protect your investment. A home inspection is a great place to start, and having a good Realtor is a must to make sure you are being taken care of. Get Exclusive Representation - Free! I represent home buyers and look out for their best interests. My interests DO NOT lie with the builder or seller of these homes. I do however have all of the needed materials such as floor plans, plot maps, features, neighborhood videos, etc. I work for you!! Please read how I can represent you in the purchase of your new home.